I hope everyone had a great weekend! I can't believe the holidays are almost here! For those that don't know, Ipsy is a monthly beauty subscription service. For just $10 you get 4-6 deluxe sample size or full size beauty items. These items are typically hair, skincare, and makeup products. They can range from high end to affordable brands. Everything comes in a pretty makeup bag that is different each month. 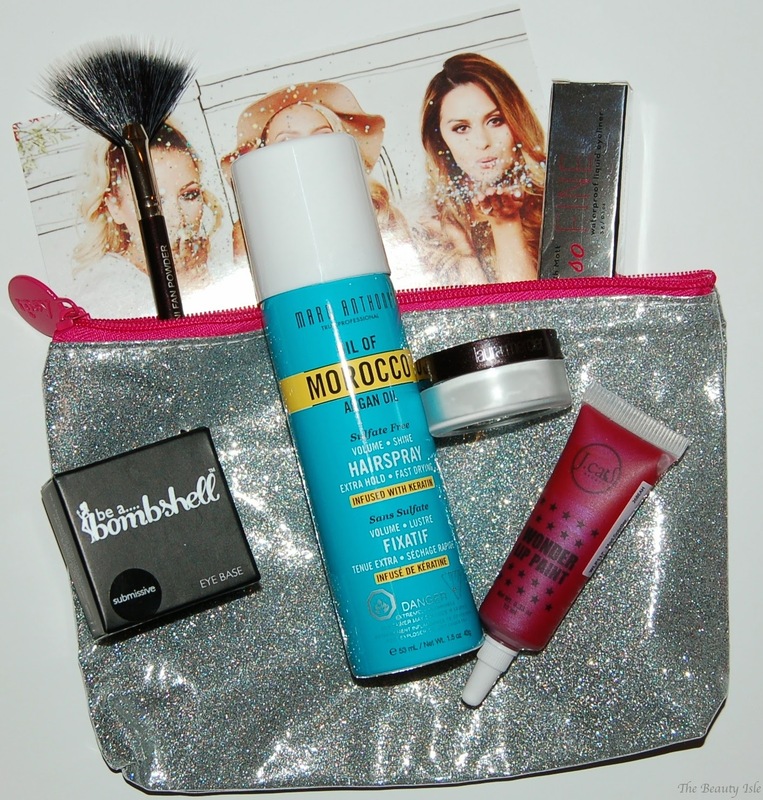 The theme for this month's Ipsy Glam Bag is Girls Meets Glitter. 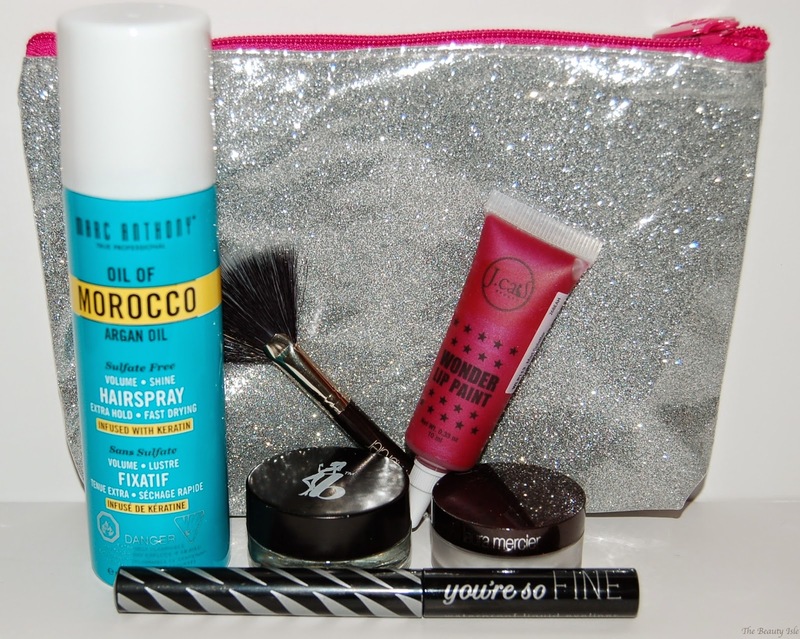 This month's makeup bag is really pretty and sprakly. Perfect for the holidays. This is a deluxe size sample. I like getting small bottles of hairspray, they are always useful for travel, to put in your bag, and I also like to have one in my desk at work. This is a full size product. It can be used as a base for other shadows or on its own. 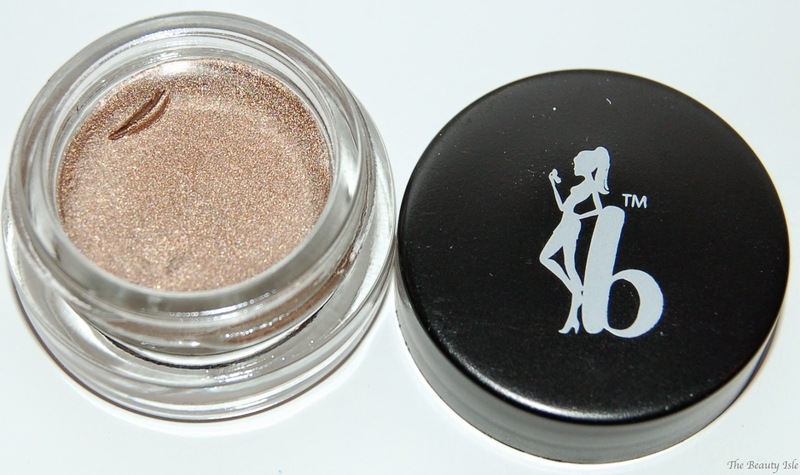 The shade Submissive is a gorgeous soft bronze color. This reminds me of the Maybelline Color Tattoos but less shimmery and pigmented though a lot creamier. This is a full size product. This liquid liner is black and has a small amount of glitter. The tip of this liner is SUPER thin and hard to control. When I tried it I could never get a straight line. I also had to keep dipping the brush back into the tube for more product because the black would just wipe away. I am not impressed with this product. 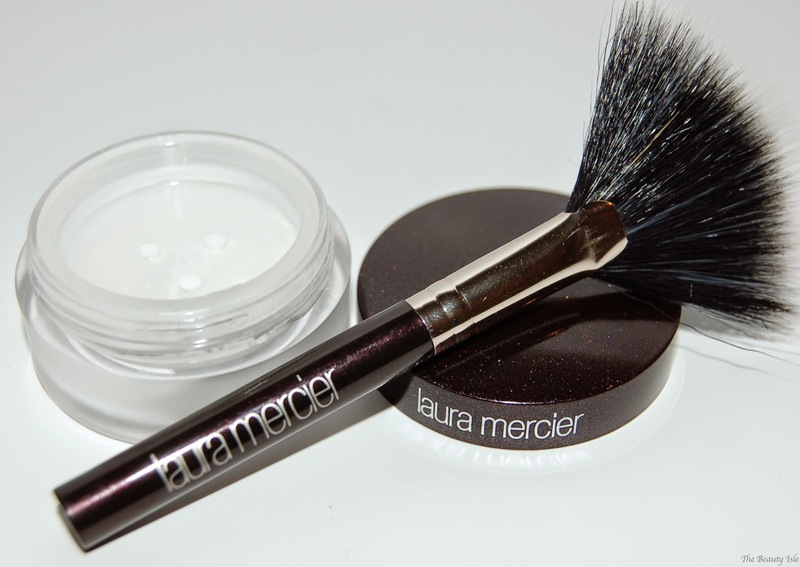 I was really impressed to see a Laura Mercier product in my Ipsy bag! I look forward to using this as an under eye setting powder. I think this is full size. 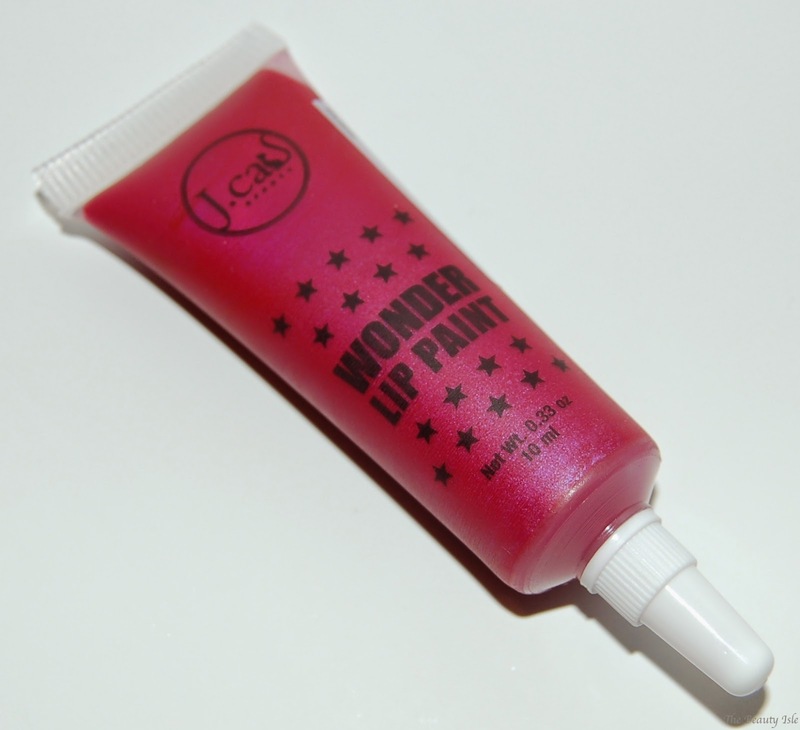 This is a liquid lipstick that is crazy pigmented and a gorgeous color! As you can see from the swatch below there is a purple iridescence to it. Ipsy scored with another great bag this month! I like everything I received except the eye liner. As you can see I got 3 full size products and the makeup bag itself is really pretty. This month's bag is worth $41.13 which is amazing considering I paid $10 for it!